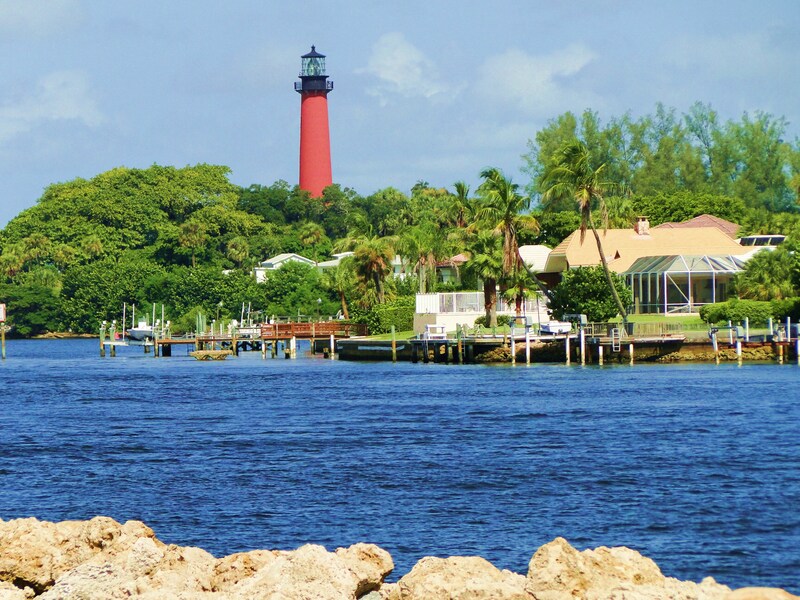 I guess my most favorite spot in Jupiter, FL (other than wherever my grandkids are) is Jupiter Inlet. It’s a lovely place rich with beautiful vegetation, lush palm trees, the blue-green water depending on high/low tide and, of course, the picturesque Jupiter Lighthouse. Every visit to Jupiter, I make the short trek to the inlet and reach a peaceful state of mind. Watching the brown pelicans ride the tide in is a treat. And they know they will get a treat as the boats come in for the night. The city of Jupiter owns all the beachfront area and has preserved it for public use with beachfront parks, plenty of parking along the coastline as well as protected areas for the sea turtles to nest and lay their eggs for hatching. Hanging out at the inlet, we’ve seen manatees, white ibis, brown pelicans and various plovers and gulls. Taking the boat up the intra-coastal it’s fun to view the homes on Jupiter Island…the homes where we can see how the other part of our society lives…Celine Dion, Alan Jackson, Tiger Woods, etc., etc.